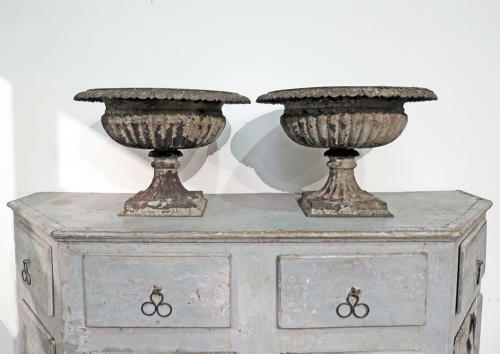 Excellent Pair of English early 19th century Tazza style Cast Iron Urns with remains of attractive old paint and some moss. In very good condition and will add immediate atmosphere to any garden. These are from the Regency Period Circa 1810.